While I don’t drink or review wine or liquors I can vouch for the quality of Tuthilltown Spirits. Run by my cousin and his family, Tuthilltown Spirits is New York’s first whiskey distillery since prohibition. In the beautiful Hudson Valley, it distills some of America’s most prized spirits including their Hudson Baby Bourbon which won a Gold Medal at the 2013 San Francisco World Spirits Competition. This video explains the fine crafting that goes into every bottle. Ask for it by name at your local liquor store. City girl turned country girl Ree Drummond has released her latest cookbook just in time for the holidays. The Pioneer Woman Cooks: A Year of Holidays: 140 Step-by-Step Recipes for Simple, Scrumptious Celebrations offers a host of easy to follow holiday recipes. Drummond, a Food Network personality and longtime blogger, includes recipes for 11 holidays and football game day in this 387 page hardcover book. My wife has most of her books and says they are some of the easiest cookbooks to follow because each step of the recipe includes a photo. Drummond is a consummate photographer and includes pictures of her family and ranch life throughout her books. It’s a great deal on Amazon.com for $17.49. Looking for something a little different for dessert this Thanksgiving? Take a look a the wonderful Sweet Potato Pie recipe at the Call Me Fudge blog. Simple to make with a great taste. 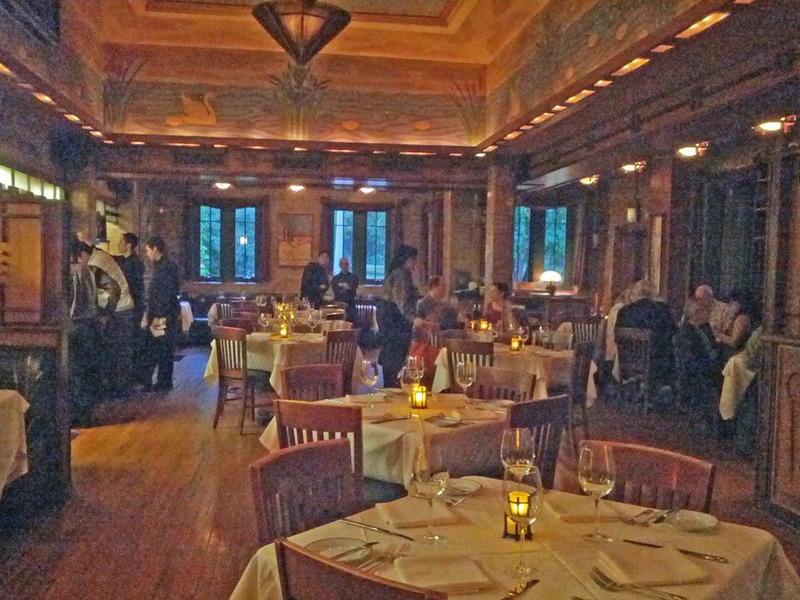 On a long overdue trip to Chicago to visit friends and family we had the good fortune of dining at North Pond. It’s hard to find a more ideal location for a free standing restaurant in a city. The north pond of Lincoln Park is the perfect oasis setting for the beautifully renovated Arts-and-Crafts-style former skaters’ warming house. 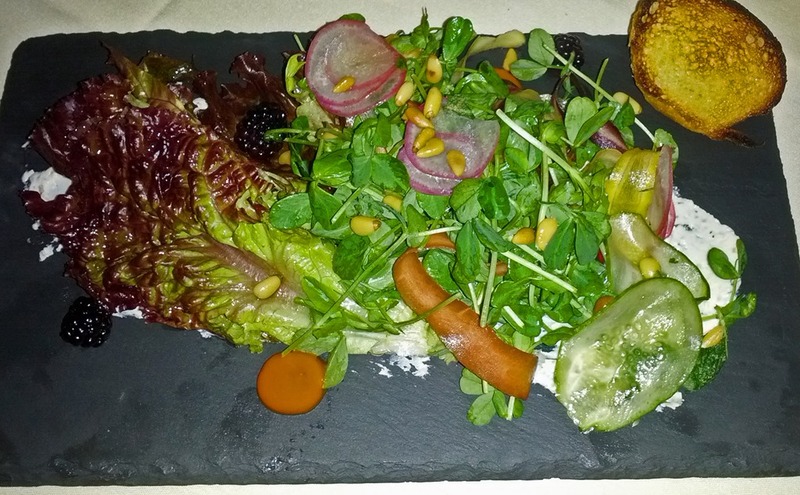 North Pond has been under the watchful eye of native Chicagoan Chef Bruce Sherman since 1999. 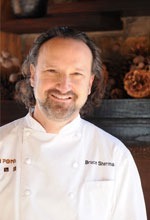 Sherman won the “Best Chef: Great Lakes Region” award from the James Beard Foundation in 2012. 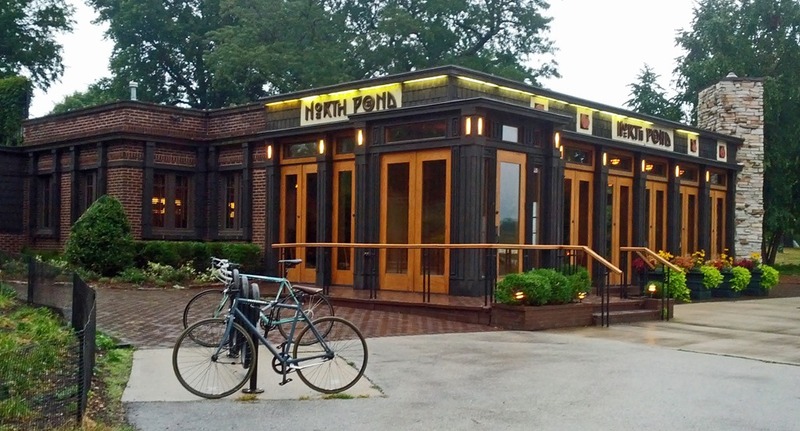 Just this month Sherman and North Pond received a well-deserved 1 star from the Michelin Chicago Guide. Getting to the restaurant is easy. Valet park or have the taxi drop you at the corner of N. Lakeview Ave. and W. Deming Pl. From there it’s a short walk to the restaurant and the pond. There is a wonderful view of the city skyline from the patio if weather permits outside seating. My meal began with an excellent first course of seared foie gras, peanut brittle, concord grape gelée, green celery, salted peanut macaronnade cookies, and Riesling glaçe. The foie gras was spectacular, flawlessly seared and a sizable portion for such a delicacy. My Bibb lettuce with buttermilk dressing was very good. For my main course I chose New York striploin steak medallions, veal cheek; celeriac puree, glazed celery, and giardiniera. My steak was cooked perfectly and tender. The giardiniera was especially tasty and not to spicy as I had feared. 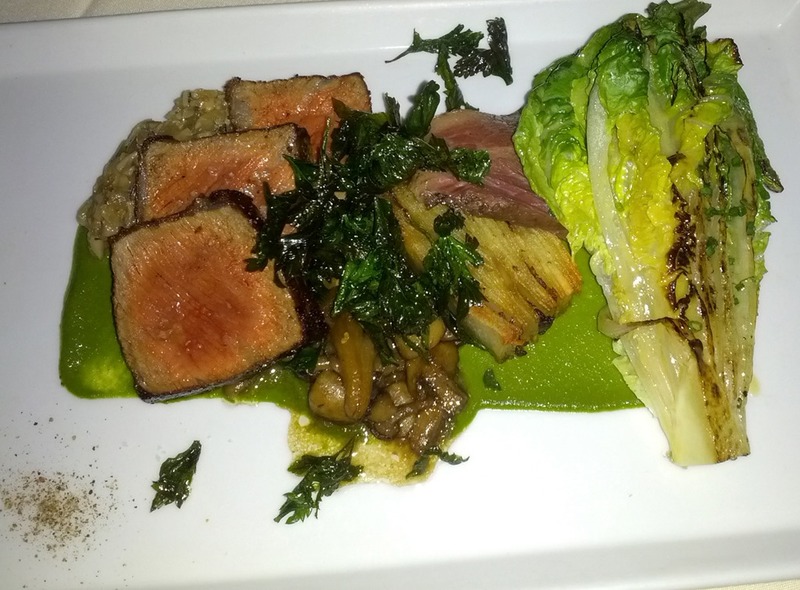 The glazed celery had a wonderful dense flavor that was not what I expected. I am not sure what I expected, but it was unlike any celery I had eaten. Getting full use of their left over patio building material my dessert came on the same rock as my salad. It’s nice but twice in one dinner is a bit much. Especially where dessert is concerned, I like a smooth surface so I am sure I get every last speck. My chocolate and berries dessert included chocolate ganache, white chocolate mint mousse, mulberries, red raspberries, and cucumber mint sorbet. Pastry Chef Greg Mosko did a masterful job of achieving the right minty balance in the cucumber mint sorbet. It is easy to go overboard and give it a cucumber taste that makes your tongue shrivel, so I commend him for holding back and giving it a faintly minty taste. Our wait staff was very attentive and took care of everything we needed. The noise level was on the high side at an average of 84 decibels. If I had one complaint it was the lighting. What seems trending in upscale restaurants these days is the idea lighting must be set somewhere between power outage and candle light vigil. Luckily I always carry a flashlight and we passed it around so we could order without surprises. This was unexpected at North Pond given the restaurant is so beautiful. I would have thought they would crank the lights to give everyone a chance to see what a wonderful job they did remodeling the space. It was a superb meal in an idyllic setting. We look forward to returning on a future trip to the Windy City. 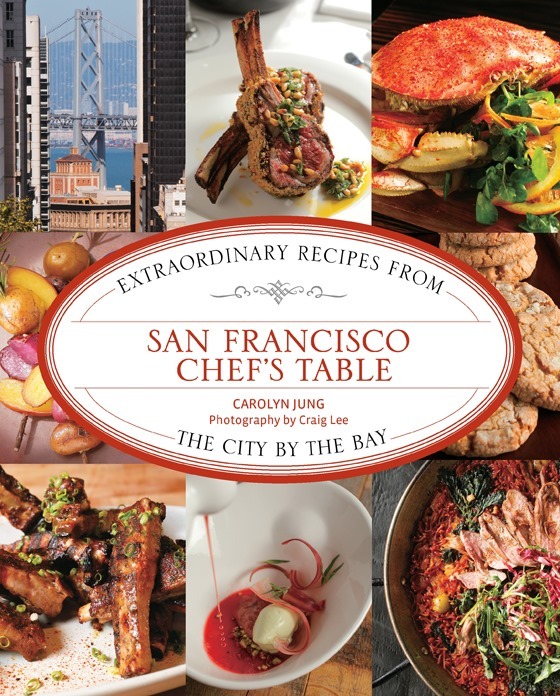 Our friends in San Francisco should be on the lookout for Carolyn Jung’s new cookbook San Francisco Chef’s Table: Extraordinary Recipes from the City by the Bay. Jung is an award-winning San Francisco food writer and author of the FoodGal blog. For her first book Jung gathered signature recipes from more than 50 bay area restaurants. During a recent trip to Chicago we had a great brunch at Reno Chicago. In the interest of full disclosure Reno is co-owned by my brother in-law’s nephew Jason Normann. That being said, it was a great meal. 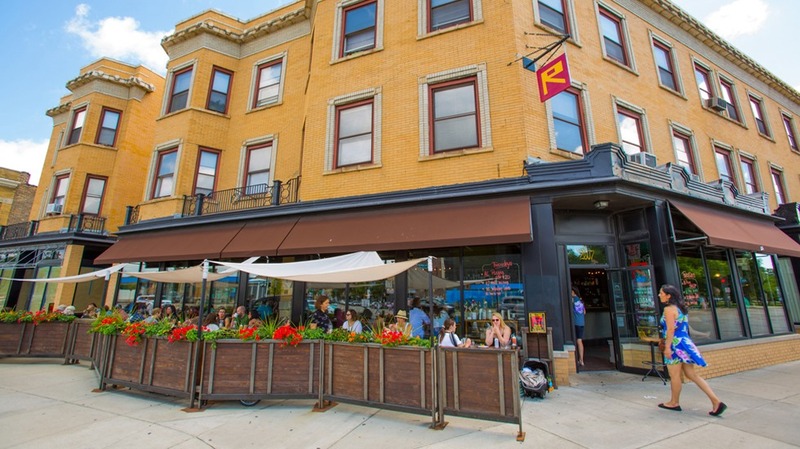 Reno Chicago is in the up and coming Logan Square area next to the upscale Telegraph also owned by Normann and his partner. We settled on two sandwiches for breakfast that came quickly. 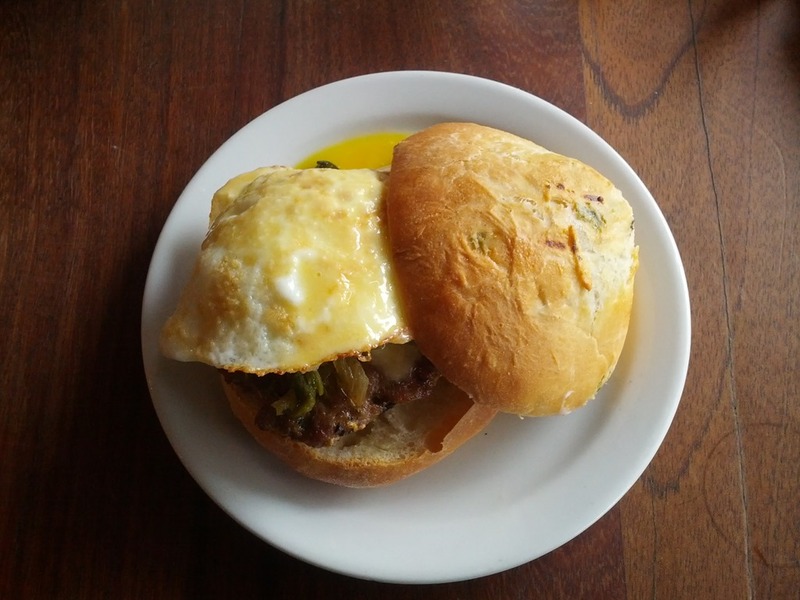 I ordered one called the Cowboy Killer which came with maple fennel sausage, fried egg, bacon, American béchamel, and rajas on a trinity bun. The maple fennel sausage was a treat. It had a wonderful sweet taste that blended nicely with the roasted poblano chili peppers (rajas). I tried to single out the taste of the American béchamel sauce but could not identify it. Béchamel is a French roux often mixed with cheese for flavor. Since it did not have the color of Kraft Macaroni and Cheese I assume its name is not derived from American cheese. 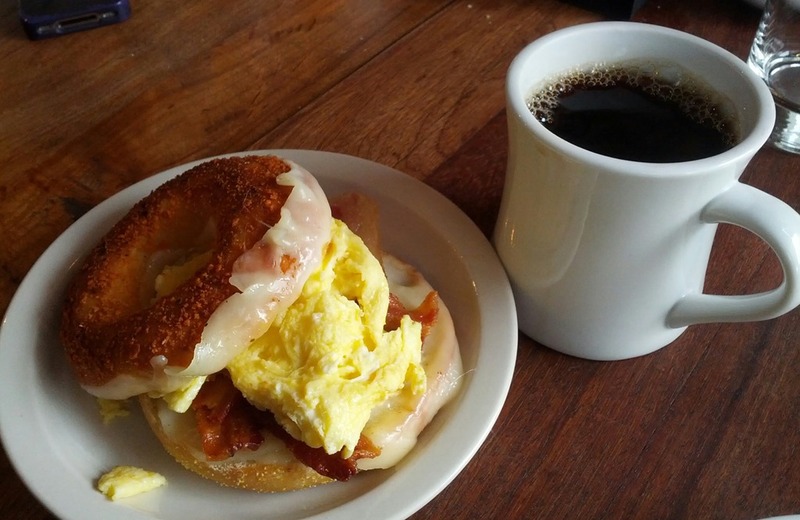 The rest of the crew ordered the Egg BLT on a tasty bagel with cheese melted onto it. Everyone was happy and said they would not hesitate to order the same things again. The Stumptown Coffee served is rich and full bodied. I need this to get going in the morning. The noise level was on the high side and by 11am the place was hopping and things were moving fast. The staff was all friendly and our waitress was on top of every need. The busboy was like a Ninja hovering nearby but never intrusive always making sure I had coffee in my cup. It was several minutes before I noticed he had cleared our table. Our meal was an excellent value for high quality well prepared food. My one complaint is they do not accept credit cards. I have not carried cash for 5 or 6 years. Luckily my wife carries cash and she paid. If I lived in the neighborhood I would be disappointed I could not stop in and eat. We have been to Claire’s many times for brunch and dinner. I thought it was time to share brunch with everyone. Located in a beautifully renovated train station the tables near the fireplace are a treat as fall arrives. During the summer months several tables are available on the patio if the humidity is not oppressive. 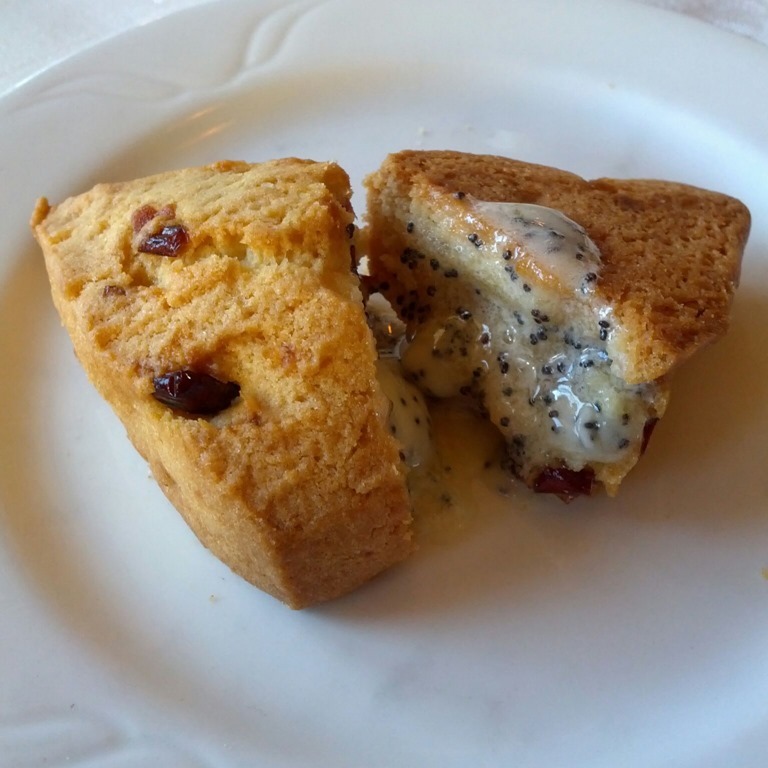 Bruch begins with wonderful Cranberry-Orange Scones. 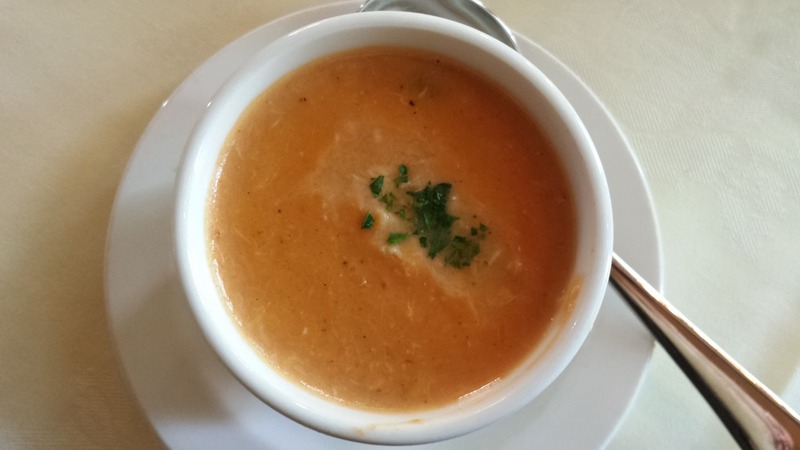 I started with a terrific she crab soup. It had a nice creamy consistency with ample crab. A little on the salty side but I usually chalk that up to minimizing my salt intake and being a little more sensitive than most people. I will have it again. 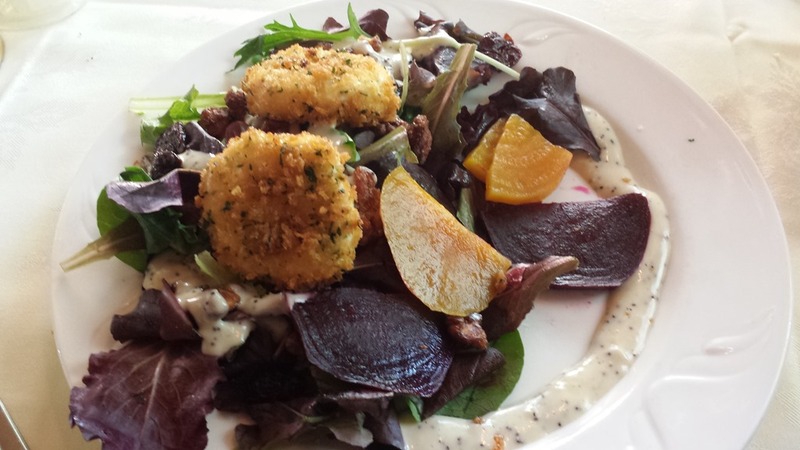 My wife and a friend split a nice looking Beet and Goat Cheese Salad with organic baby greens, goat cheese croutons, yellow & red beets, candied walnuts, dried cherries, and poppy seed dressing. 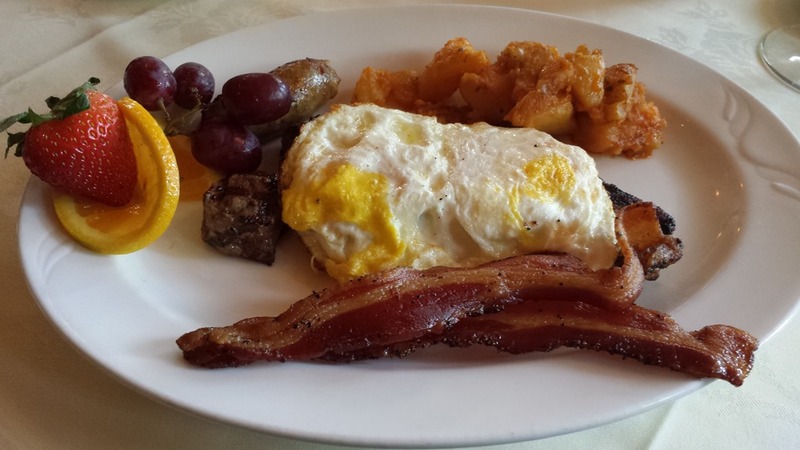 My favorite for brunch at Claire’s has long been the Steak and Eggs with a grilled Black Angus N.Y. strip, Edwards’ peppered bacon, sausage, farm fresh eggs over hard, herbed hash browns and fresh fruit. The steak was cooked perfectly. The homemade sausage had a magnificent earthy taste with just a hint of spiciness. I grew up on dinner type hash brown potatoes shredded and on the crispy side. The herbed hash browns for this dish are good but more like small seasoned breakfast potatoes. I am not sure I would call them hash browns. 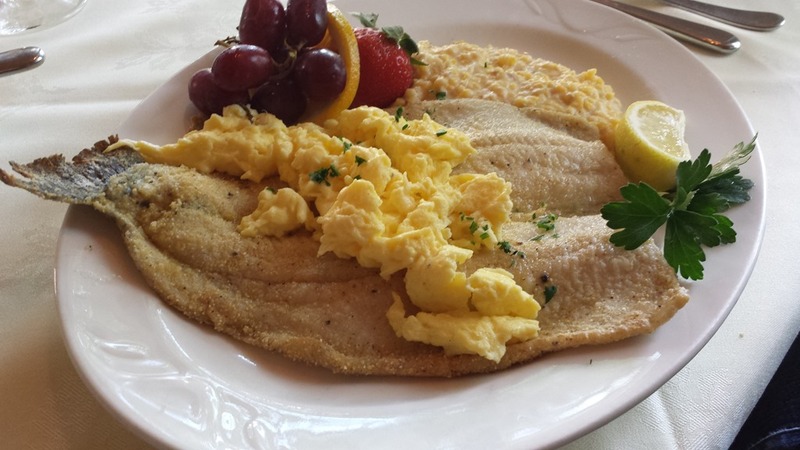 My wife chose the Pan Seared Trout with scrambled eggs. The trout was moist and not over cooked. The selection of fruit was all fresh with strawberries ripened to perfection, a surprise for this time of the year. Our server was the wonderful Tiffany. She was helpful with menu suggestions, took care of our every need, and always had a smile. I hope she helps us on our next visit. Claire’s brunch can fill up fast after church lets out so reservations are recommend for dinning after noon. The noise level was moderate, around 65 decibels when we arrived, and on the high end of moderate at 75 decibels with nearly every table was taken when we left. On this afternoon I spotted Claire out of her chef’s uniform and in the dining room filling water glasses and observing the flow of staff and guests. I am sure this hands-on approach has a lot to do with the quality of the service. 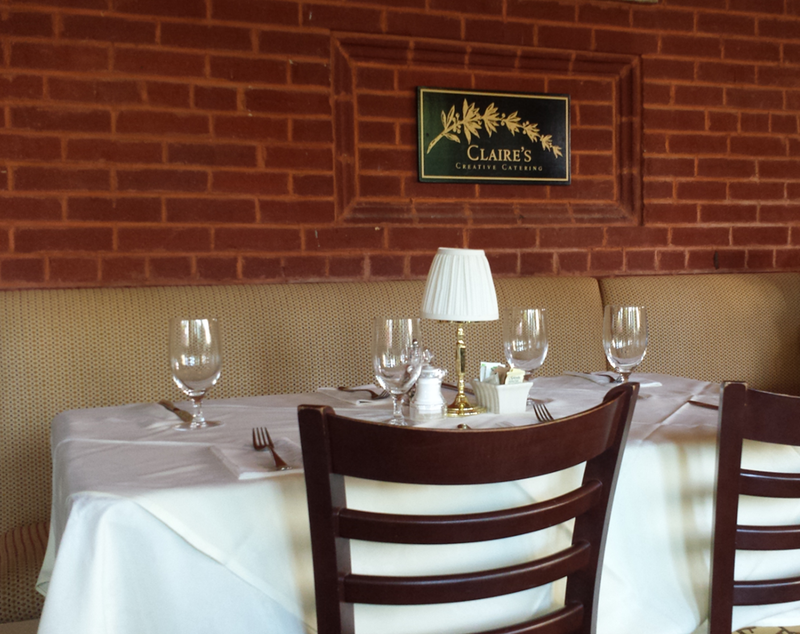 If you’re looking for a nice Sunday brunch in the country don’t miss Claire’s at the Depot. 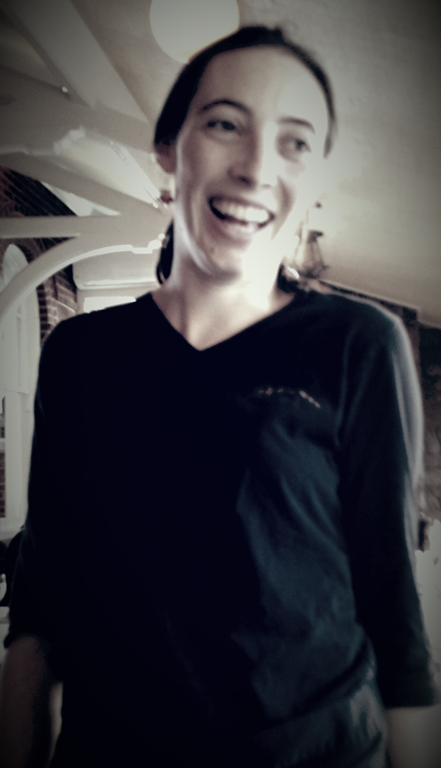 Warrenton is a lovely town about an hour from Washington, DC and Claire makes it worth the drive.